Before I start this review, the best way to get off a mailing list is to contact them directly. 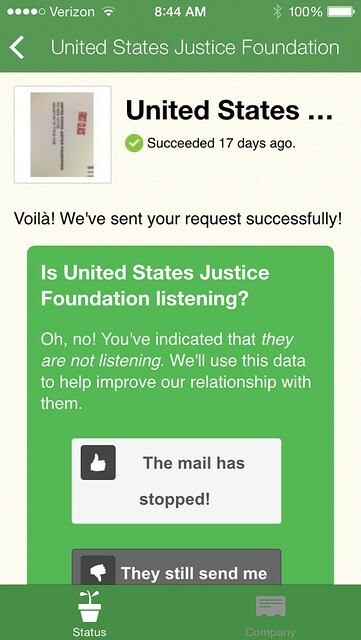 Email them, call them, harass them like they harass you. For this project that was just not an option. It would have been hundreds of emails and phone calls. Even with cut and paste my entire day would have been sending emails, and keeping track of responses. That is why I used both Catalog Choice and PaperKarma. Also they count requests differently, Catalog Choice counts each request individually and PaperKarma lumps all the requests to each group together. 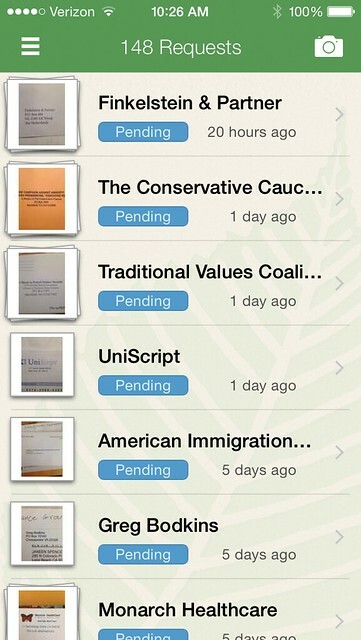 So if I get 10 mailpieces from Citizens United, Catalog Choice would have 10 requests and PaperKarma would have 1 request. I am going to use the PaperKarma standard for this review to 1) lesson confusion and 2) so I don’t inflate the stats. The numbers are ridiculous enough without counting each piece of mail individually. They essentially do the same thing: you enter junk mail into their system, they try to contact the junk mailer and ask for the junk mail to stop. The key to both of them is to maximize the system. Enter every piece you can. Leave a paper trail of what you have received. Use all the tools they give you. Don’t be passive about the process. Catalog Choice was bought by TrustedID it is the older of the two. It is web based and very easy to use. You can enter multiple names and addresses into the system. You can only send requests to the groups in it’s database. It works best on well established legitimate charities. It does not work as well on 501c(4)s, candidates running for office, and scams. They need to update their database more often. 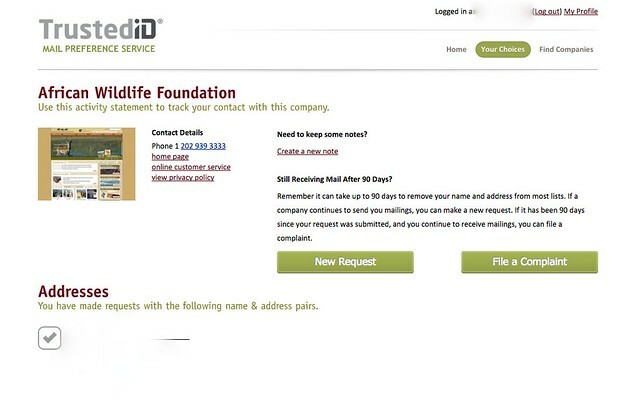 One great feature is: if you are still getting junk mail 90 days after your first request, you can file a complaint with Catalog Choice and they will pass it on to the FTC. I used Catalog Choice from April to the end of July. I have 173 requests for individual groups on that service. I was imputing fewer and, fewer mailpieces because they either weren’t in the system or I would input a mailpiece but it wouldn’t go through to the company. Out of the 173 groups I entered, only 51 went through and 16 required further action. About a 30% success rate. That is about my response rate when I send out emails. 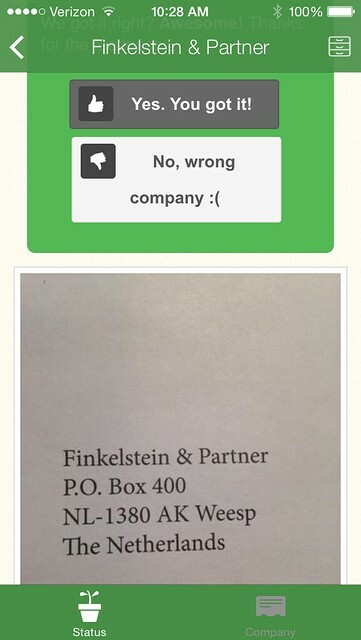 Out of frustration I started using PaperKarma. It has many of the same problems of requests not going through, but it has a higher success rate. In defense of both companies I am testing the limits of the system. The bizarre fringe PACs and “sound a like charities” that I get, fly so low under the radar most people have never heard of them. PaperKarma is newer. It was bought by Reputation.com. It is a smartphone app. You take a picture of the mail and they use some fancy software and Amazon’s Mechanical Turk (Wiki page) to figure out who sent it to you. 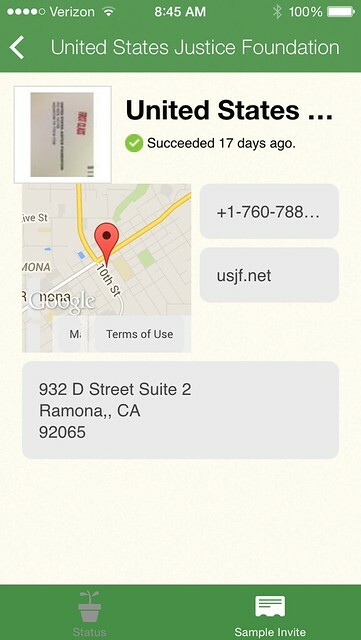 With PaperKarma you can enter multiple names but only one address. The program will learn new junk mail names and addresses. You have to train the program, as it will sometimes guess wrong. When you sign up you have the choice to use your Facebook account or create a fresh account with your email address. I have read the reviews of the app and some people have trouble with using Facebook to log in. I created an account with my email address, mostly because I didn’t want my Facebook to get intertwined with this project. 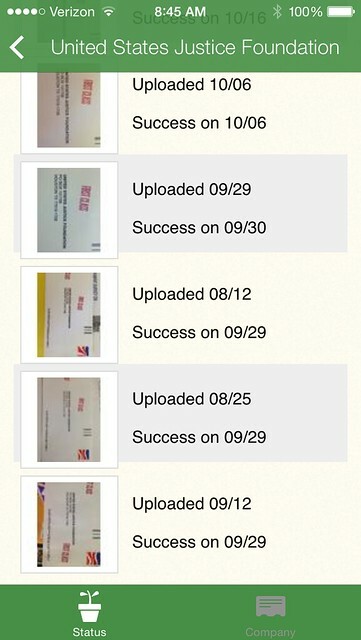 After the the first 5 mailpieces you upload it will ask you to send an email to 5 friends. If you don’t want to do that, just use the emails of people who send you junk mail. I have plenty on this site. Out of 308 total requests 160 went through, about a 50% success rate. Of the junk mail requests that have gone through about 5% are wrong. Either they are the wrong advertiser or a random PO Box. Not bad for a robot. Again, it worked best on established charities, and well known advertisers. 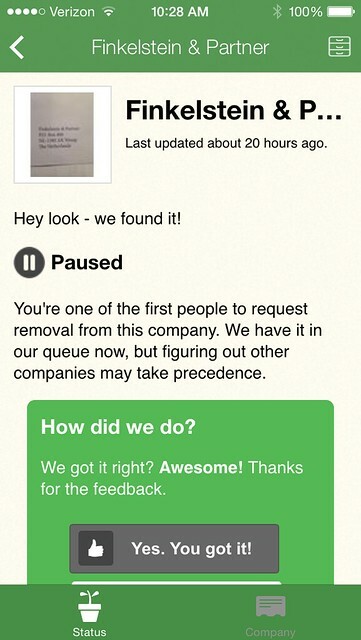 The app starts to get sluggish after about 150 requests. 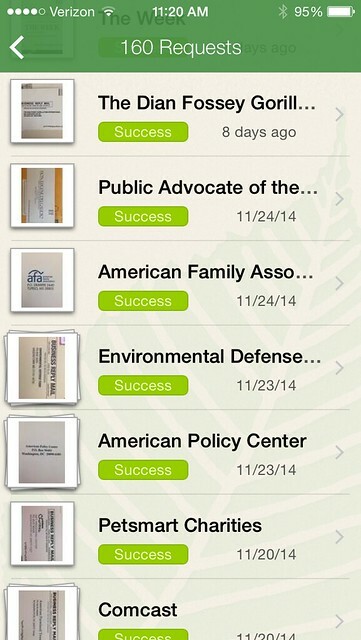 Keep it tidy by “archiving” the requests that are green Successes. Only the blue Pending and the red Failed should be on your main page. Don’t worry “archived” is a strange word to have used, they are still active requests and you can still tell them if the mail has stopped of if they are still sending stuff to you. If the request was successful, after 13 days they ask you if the mail has stopped. I would like this to be changed to 45 days as many junk mailers like to send stuff once a month. If they want me to tell them on the 13th day if the mail had stopped then they should have it say 13 days ago. After 8 days it changes to a date. I would also like the website to be more interactive. I would like to access my account from a desk top computer and see the all the photos and make corrections when needed. It would also be great if I had the ability to see full name and address of sender of junk mail. 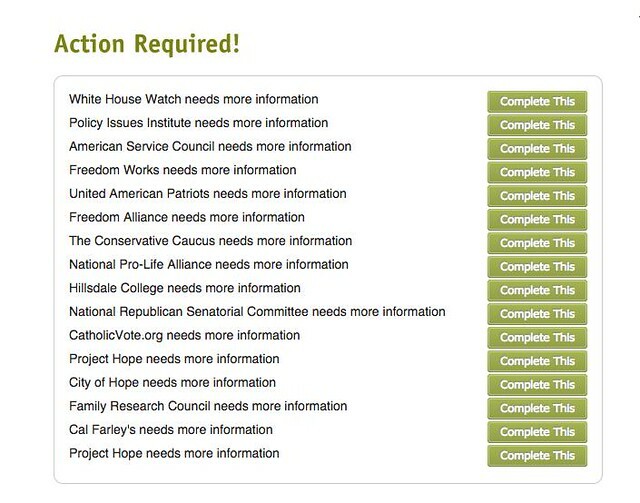 A lot of the SuperPACs have names that are very similar, many fake charities have “sound a like” names. I need to see the whole thing t0 make sure the robot found the right group. Screen caps are boring. Time for some videos! CBS New York talking about DMA Choice and PaperKarma. No means No. If I choose to opt-out of everything, I mean everything. Not for 5 years, forever. Unlimited names and addresses. Because of the way I did this, I have 2 addresses to handle at once. And the junk mail people like to play around with her name, flip-floping it and strange misspellings. Once one list does it, it spreads like wildfire. I have 6 variations of her name and DMA Choice only has space for 5. In PaperKarma it is a long string on one line that I can’t see all of at once. They all need to take a que from the fantastic opt-out page for data miners acxiom. That is how you do it, it is all on one page, and you can have 10 of everything. Sometimes it is nice to deal with a data pro. 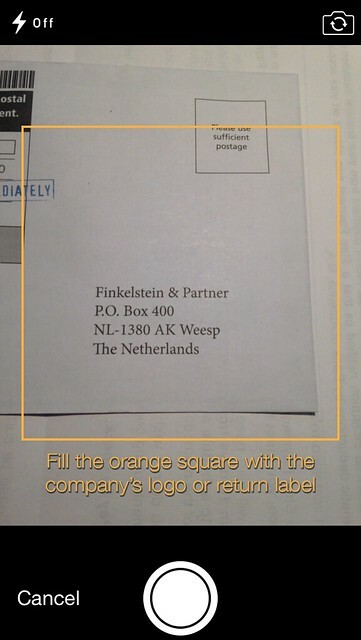 Ability to opt-out of direct marketing firm or get off what ever master mailing list they have bought. I do not have the time to opt out of all 50 clients that are sending me mail from the same place. You know they are all connected, let me opt-out as few times as possible. 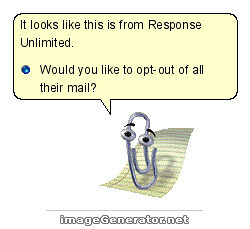 If it requires an extra step (phone call, a direct e-mail, fill in a form with a captcha) they do it for me. A yes or a no if it went through, no “waiting” or “processing” forever. If I need to do it myself let me know. Don’t leave me hanging. Ability for me to enter a new group. There is no way they can keep up will all the new charities and PACs that are created every year. If it is a scam tell me the proper authorities to contact (better yet contact them for me), show people how to use form 1500, file a FTC, or DMA complaint if it comes to that. 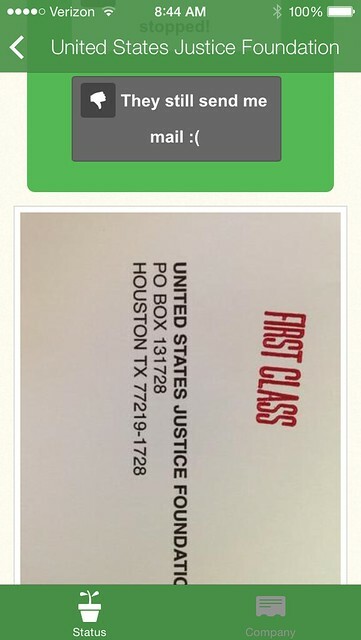 If the mail doesn’t stop after 90 days, automatically send a complaint report to the FTC and the DMA. Or at least alert me in some way to do it. 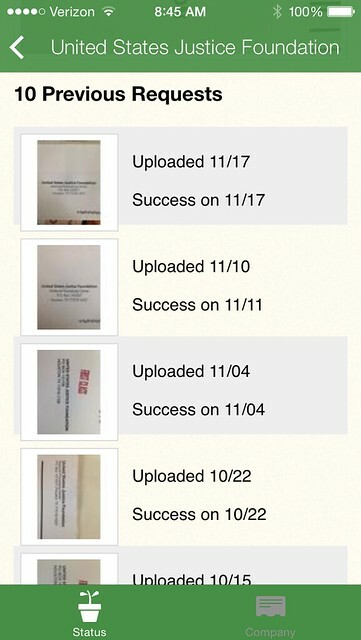 Both Catalog Choice and PaperKarma are very bad at telling users that it is time to go to the next step. 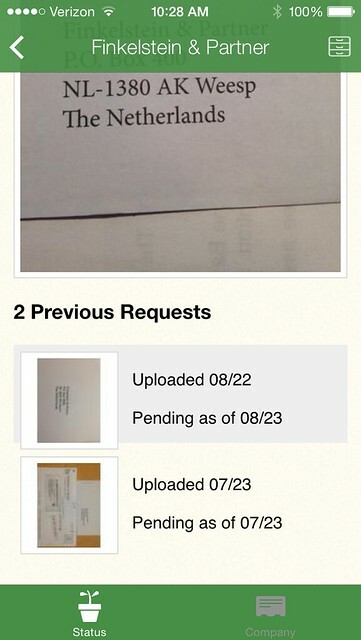 Stop “To Current Resident” mail, EDDM postcards and the like. That is the type of mail that is the most annoying to the most people. I have been hard on both services. Mostly because the job I had was was hard to do. I am sure none of the people who thought up these services never imagined someone like me rolling up on them and dumping hundreds of requests on them. PaperKarma gets a B+ and Catalog Choice gets a C-. 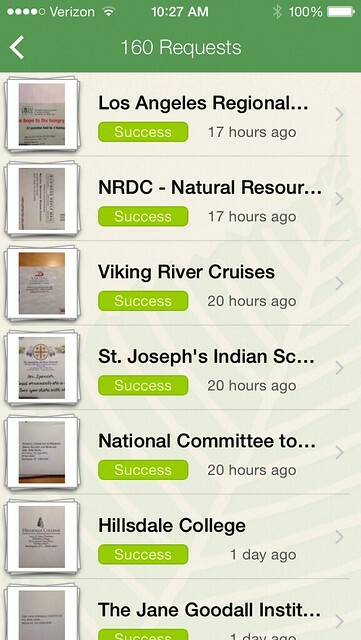 If you have a smartphone definitely use PaperKarma. Did I miss something? Comment below and tell me what you want in a junk mail stopping service. Your blog is amazing!!! I started this process 7 years ago when I got married and had to tackle my husbands lifetime accumulation of junk mail. I’m not sure when I found catalog choice but it was when it was brand new. I had not yet figured out how to get off political/campaign lists so I’ll re-read your blog for info on that. I’ve found that to be an incredibly frustrating source of junk mail and initially I contacted them all directly via their websites but basically that was useless and I never got a response or any removal. Who sends you the most crap? Let’s get them stopped today. 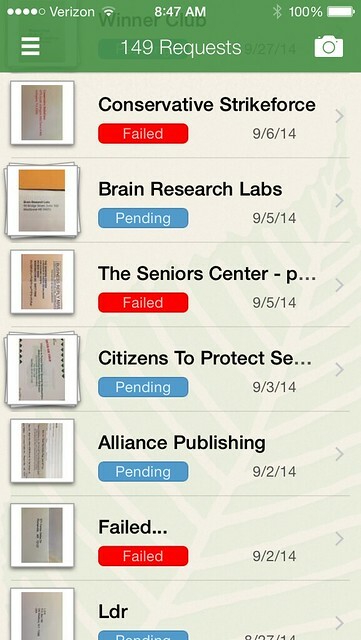 Were you able to get off The Seniors Center mailing list by contacting them directly? The Seniors Center is a project of Checks & Balances for Economic Growth. They are apart of the bizarre Moonie junk mail triangle. 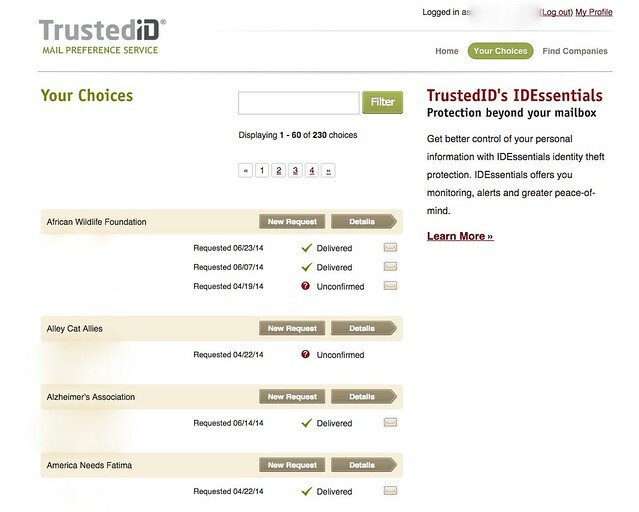 Opt-out through Engage Direct Mail. You should recognize the other groups mentioned in that post. You were certainly getting junk mail from a lot of scary organizations! The best free service right now is Catalog Choice. Everyone else charges a fee or is sketchy. If you are getting junk mail that is not in Catalog Choice’s system, I recommend calling them. It is more effective than email.